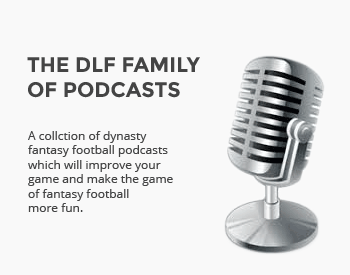 We continue the series with our choices for the candidates for best dynasty buy. Wow. Lots of Diggs love. Glad I drafted him everywhere in 2015. This has me optimistic. Before reading this article…. Just traded J.Howard for S.Diggs and a projected early 2018 2nd. Close to market value imo and – likely a nice deal for my trade partner as he needed rb help. I needed a wr piece as we can start 4 in that league & had / have rb depth – and basically I wanted to grab Diggs now. I believe the window of buy him at a reasonable price is about to close. I know the community is high Howard and for good reason and I likely could have gotten a bit more based off of rb scarcity – but, I’m happy with the deal. I think Howard’s production – because of the abysmal state of the team around him will take a dip. I also think Diggs will be a big name in dynasty for some time. Can’t say the I’m near as confident that J.Howard will sustain his rb1 status for multiple years to come. Rb’s are so volatile.